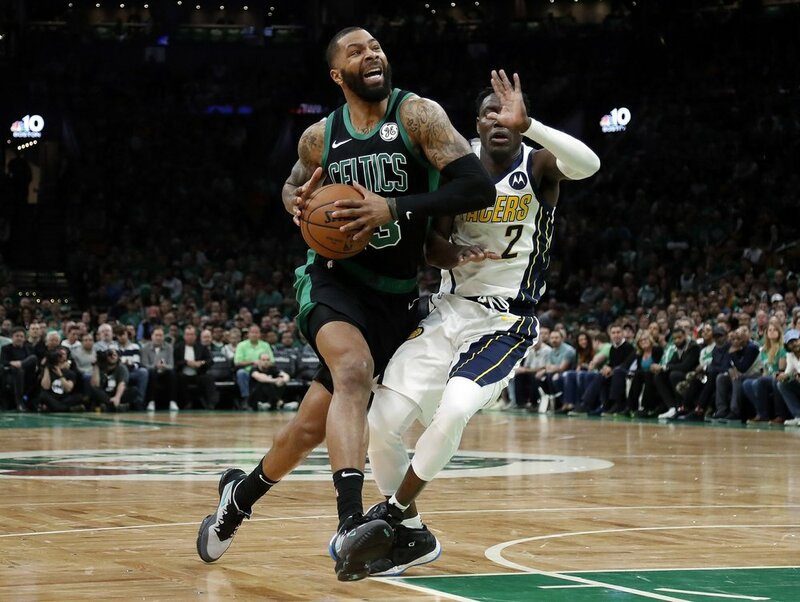 Boston Celtics' Marcus Morris, left, drives past Indiana Pacers' Darren Collison during the second quarter in game 1 of a first-round NBA basketball playoff series, Sunday in Boston. Both teams shot under 40 percent for the game. Boston hit just 36 percent (28 of 77) and had 20 turnovers. Indiana connected on 33 percent of shots (28 of 84) and turned it over 13 times.